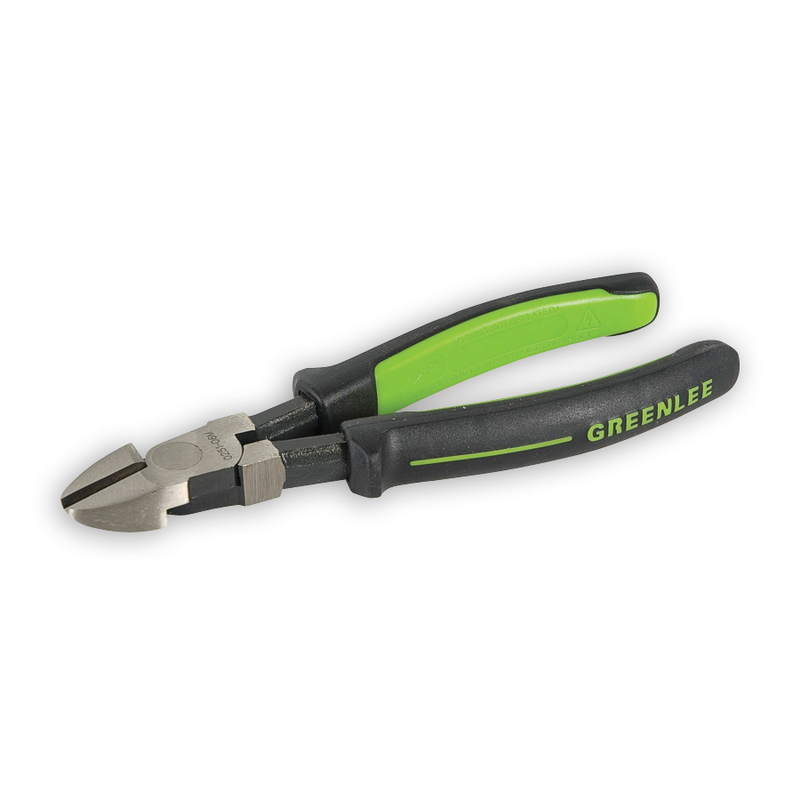 Greenlee 0251-08M High Leverage Diagonal Cutting Pliers 8"
Custom grip allows area for user identification. - Flared Handles for Added Comfort and Leverage. - Wider Grip Design Provides Larger Load Bearing Area for User Comfort. - Forged from Chrome Vanadium Steel for Greater Durability and Strength. - Precision-Machined and Induction-Hardened Blades Strengthen Cutters and Provide Consistent Performance. 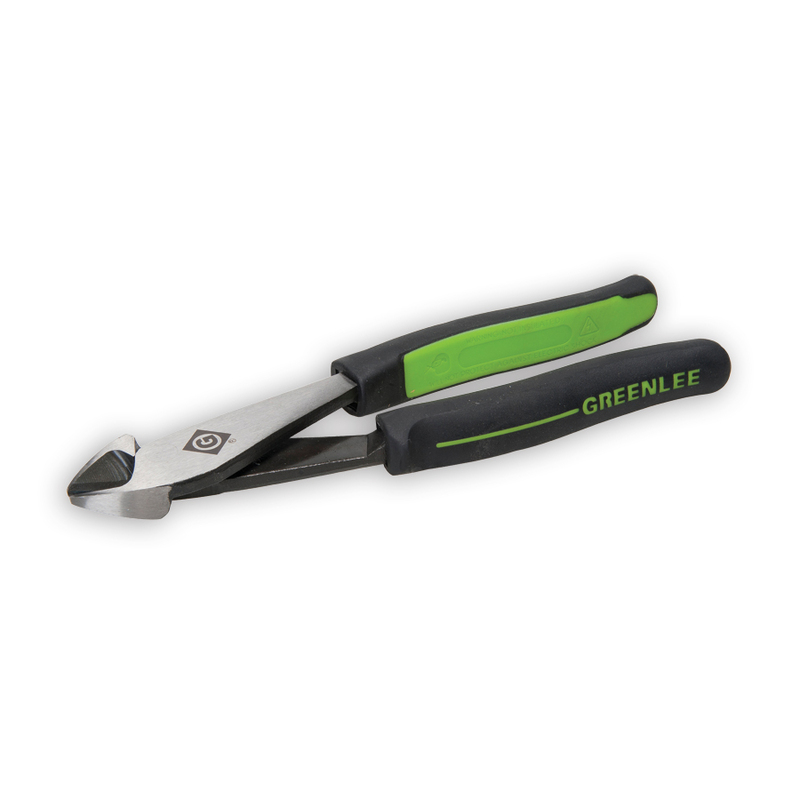 - Effectively Cuts Most Hardened Wire, ACSR, Bolts, Screws, and Nails. - Through-Hardened Steel for Longer Life. - Duel Cutting Edges for Optimum Cutting Performance. 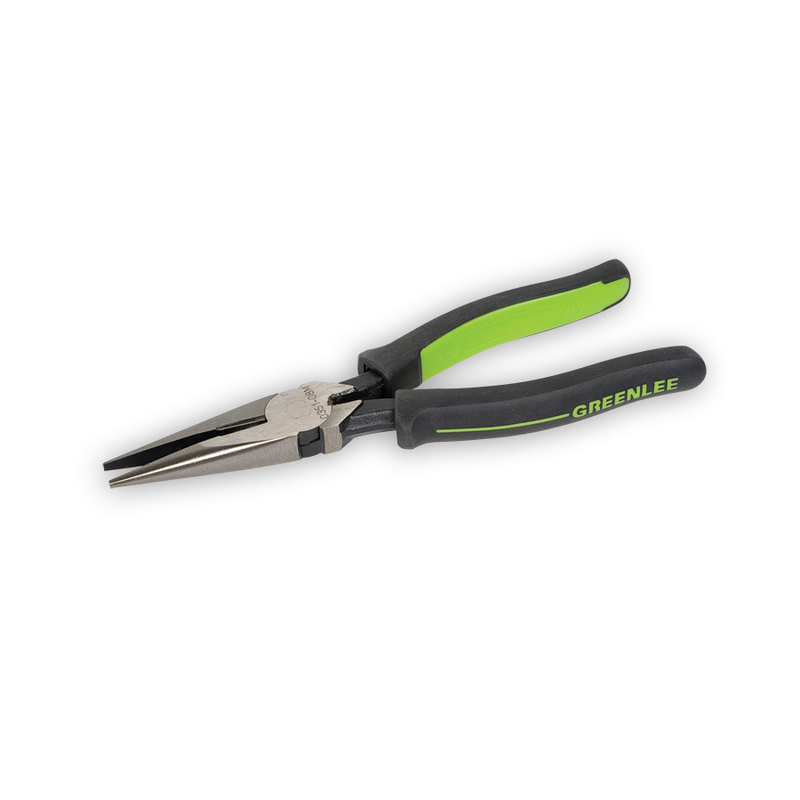 Greenlee 0251-07M High Leverage Diagonal Cutting Pliers 7"
Greenlee 0251-06M Diagonal Cutting Pliers 6"
Greenlee 0351-08M Long Nose Pliers/Side Cutting 8"
- Diamond-Serrated Jaws and Hardened Cutting Edges for Optimum Cutting and Gripping Performance. 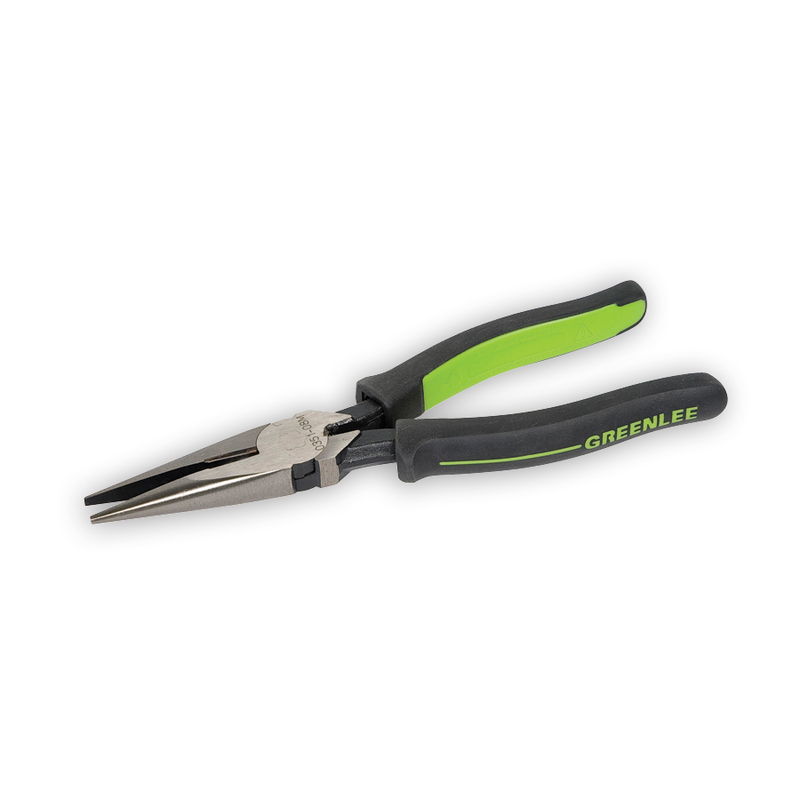 Greenlee 0351-06M Long Nose Pliers/Side Cutting 6"
Ideal 35-038 Long-Nose Pliers - 8-1/2 in. 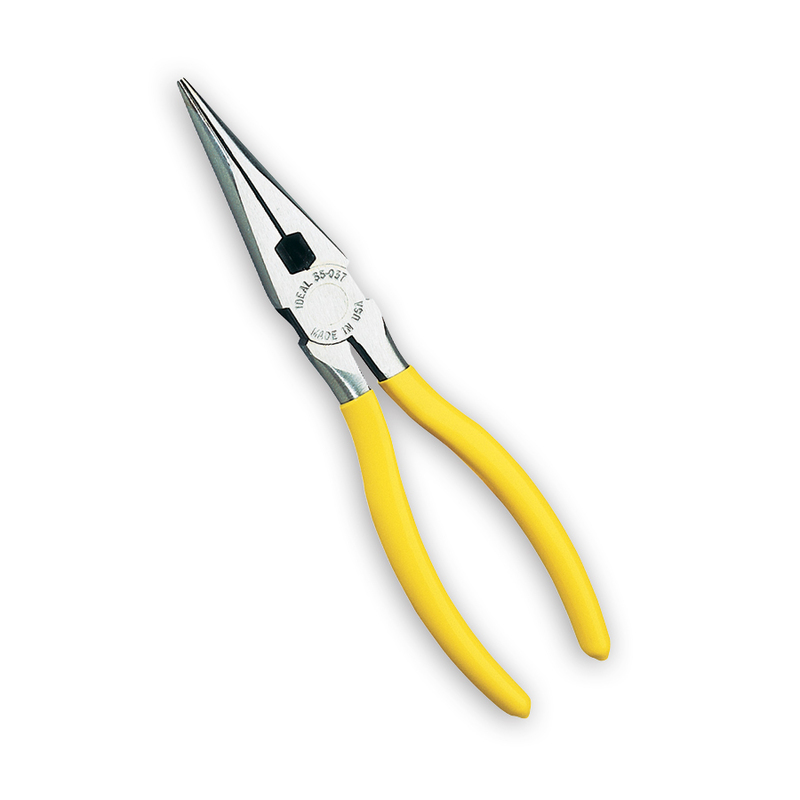 Ideal 35-036 Long-Nose Pliers - 6 in. 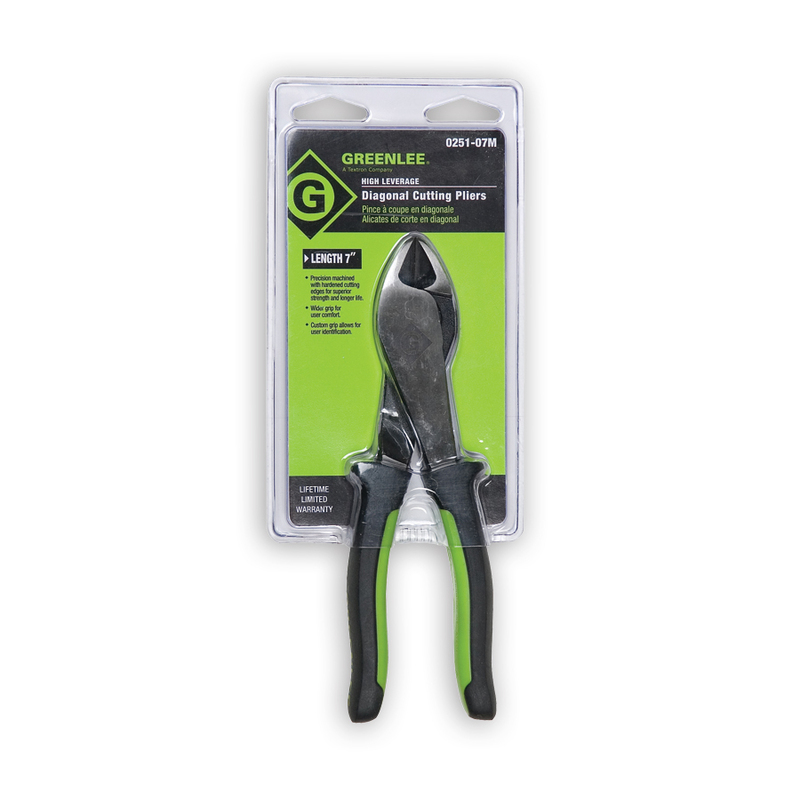 The Need-L-Lock's patented four-in-one tool combines UR/UY/UG connector crimper with needle-nose pliers so you can carry one less tool on your belt. Aligned crimping jows come doen square ensuring a solid connection. 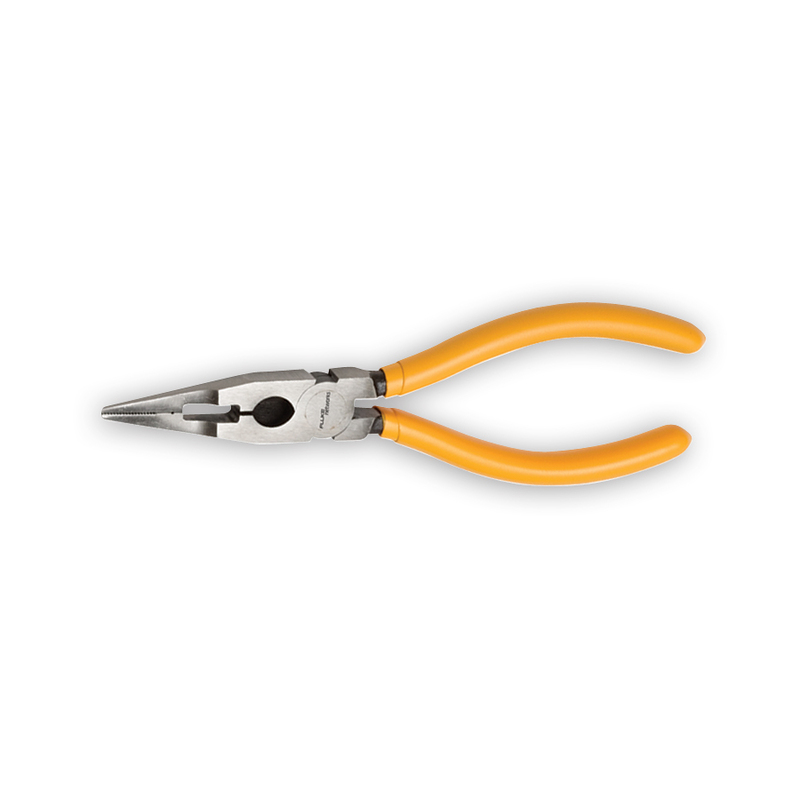 Jaws are grooved to provide a better grip on wires and feature a built-in cutter and wire stripper. - Rubber coated handles for non-slip grip.